This will come as a shock to you, but brace yourself. I think Dawn Upshaw cheats! She makes the incredibly complicated seem effortless, the atonal sound melodic and the enormous range of her voice seem expected, controlled and crystalline. Now you tell me: how does anyone do that? 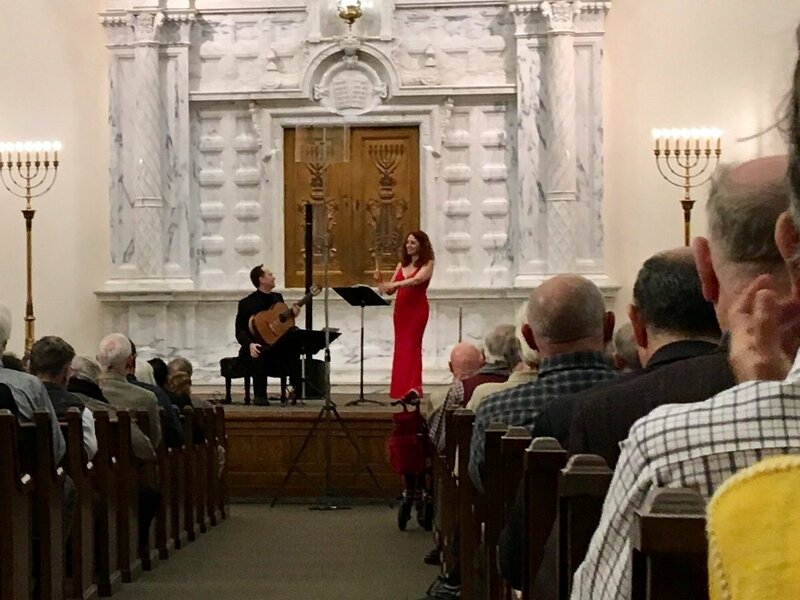 Maybe she is super-human; I don’t know, but I do know quality and perfection when I hear it, and I heard it Sunday at the first concert of the San Antonio Chamber Music Society’s 2018-19 season. Of course, it helps to share a program with the Brentano String Quartet. 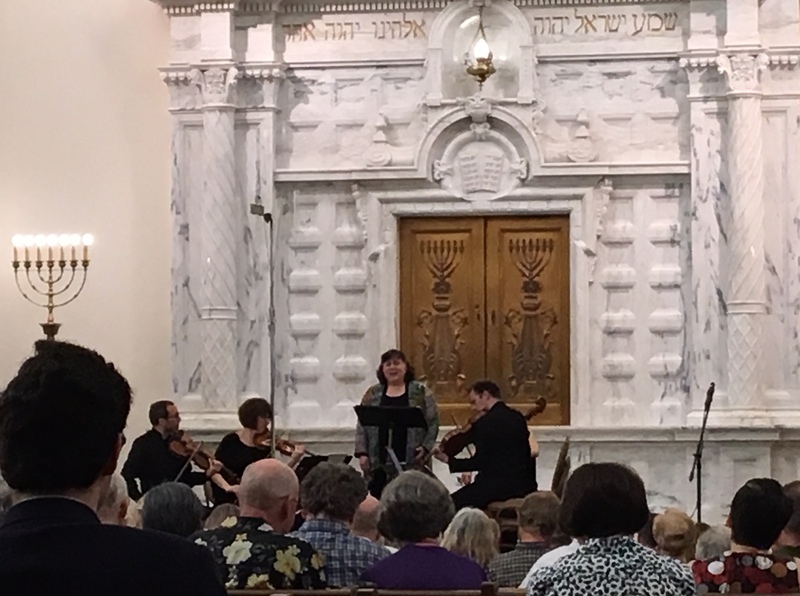 These masterful musicians performed – among other selections – a work by one of my personal favorites, Franz Josef Haydn. The thing about Haydn is that his music in the wrong hands can sound tinkly (is that a word?) and tinny and metronomic. I should know. When I was but seven, I was already destined to be a concert pianist, and what do aspiring concert pianists perform (to the beat of a metronome, of course)? Haydn, that’s what. But as time went on and my piano career came to a screeching halt in high school, I came to understand and appreciate the works of Haydn. 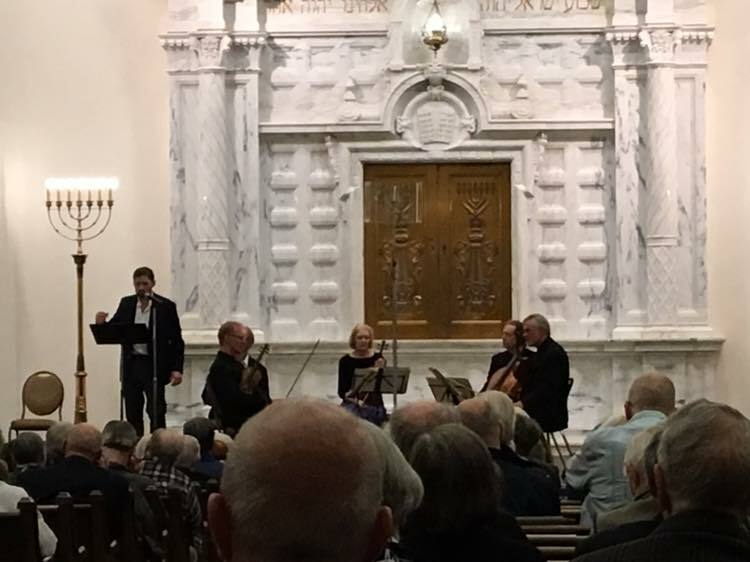 And I have often thought, as I did Sunday, that if Haydn himself could have listened to the Brentano performing his work, taking full measure of the imagination, the humor inherent in his String Quartet in C, he would smile. In fact, he would clap his hands in glee as the Brentano brought this beautiful composition to life once again. …so I adjusted my inner ear and resolved to understand and enjoy… I never thought I would have goosebumps! …the quality of the performance made it irresistible! Something else I would like to ponder: the Respighi composition. Respighi is well known for his tone poems; he brings such wonderful sights to mind as the listener enjoys the range of his music. Il tramonto (The Sunset) as performed by the Brentano and Dawn Upshaw was a vision of the majesty of a sunset, captured forever in this composition. And now for the Schoenberg. I wasn’t too sure I would enjoy this composition as I am not an ardent admirer of the composer. I’d have to say I’m kind of hot and cold on his work; it’s a mindset, I guess, and also what you bring to it. Well, I brought an admiration for the performers, so I adjusted my inner ear and resolved to understand and enjoy. I never thought I would have goosebumps! Shoenberg and thrills just don’t go together for me in the usual course of events, but the quality of the performance made it irresistible. So goosebumps it is. 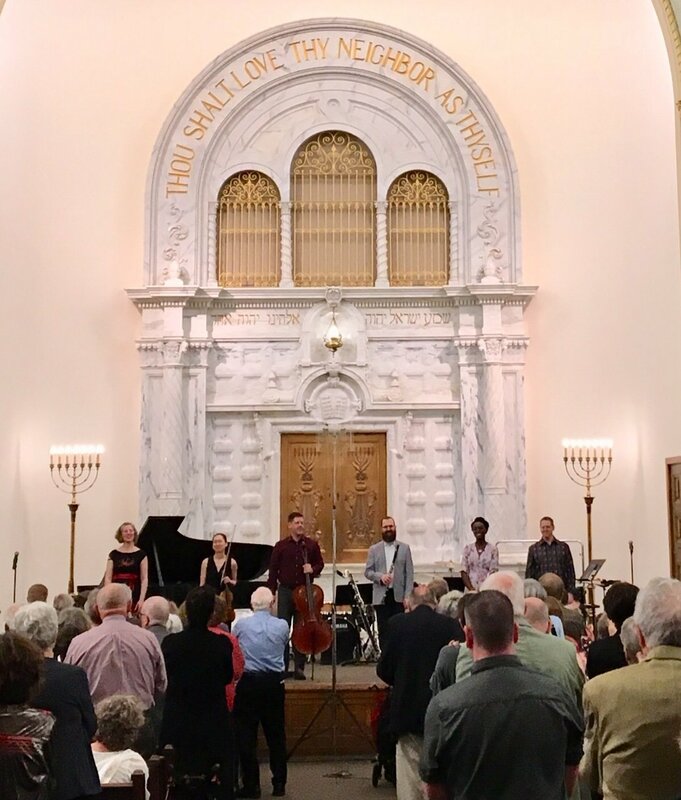 When you have the pleasure of hearing musicians such as the Brentano and Ms Upshaw, you know you have witnessed something really extraordinary. And I know with equal certainty that the remaining concerts in the SACMS season will also be extraordinary. 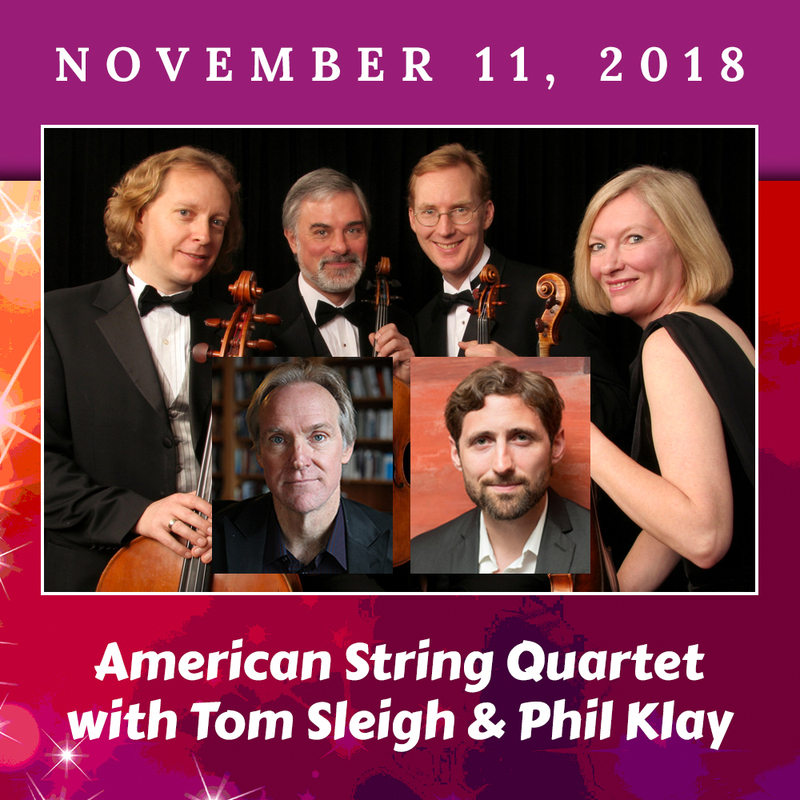 Circle November 11 for the next music extravaganza, the American String Quartet with Tom Sleigh and Phil Klay. Here come the goosebumps! Our 76th Star-Studded Season Is Here! Our 76th Star-Studded Season is here! Be prepared to be dazzled on this new adventure: you will be amazed, intrigued, challenged, transported, charmed, moved, and uplifted! With each passing season, the performances get better and better. You won’t want to miss any of the fantastic concerts starting this October. Take a look at our stellar line up below and buy your season tickets now! 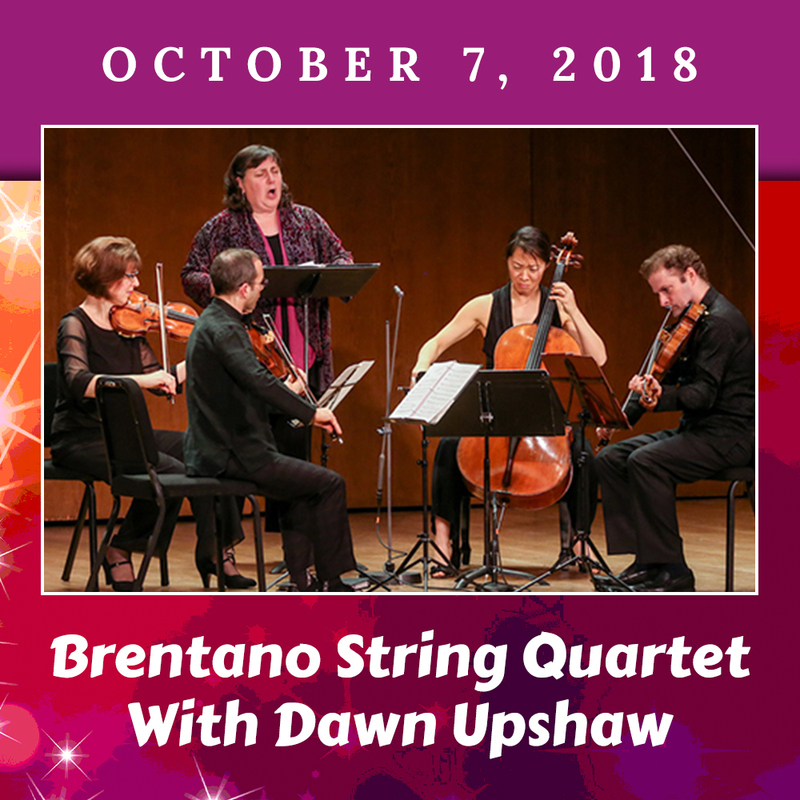 The exceptional and critically acclaimed Brentano Quartet, known for its adventurous spirit and imaginative programming, will collaborate with 5-time Grammy Award winner and beloved American soprano Dawn Upshaw, who will lend her incomparable voice to bring you a Sunday feast that probes the depths of human expression. The American String Quartet is internationally recognized as one of the world’s finest quartets. Tom Sleigh is the author of ten books of poetry, including the award-winning Army Cats. Phil Klay is a veteran of the U.S. Marine Corps and is the author of an award-winning New York Times-bestselling short story collection. Music expresses what words cannot, but in addressing the issues of war and healing, these artists will combine the powers of both in this special Veterans Day concert, titled ‘Lyric in Time of War’. 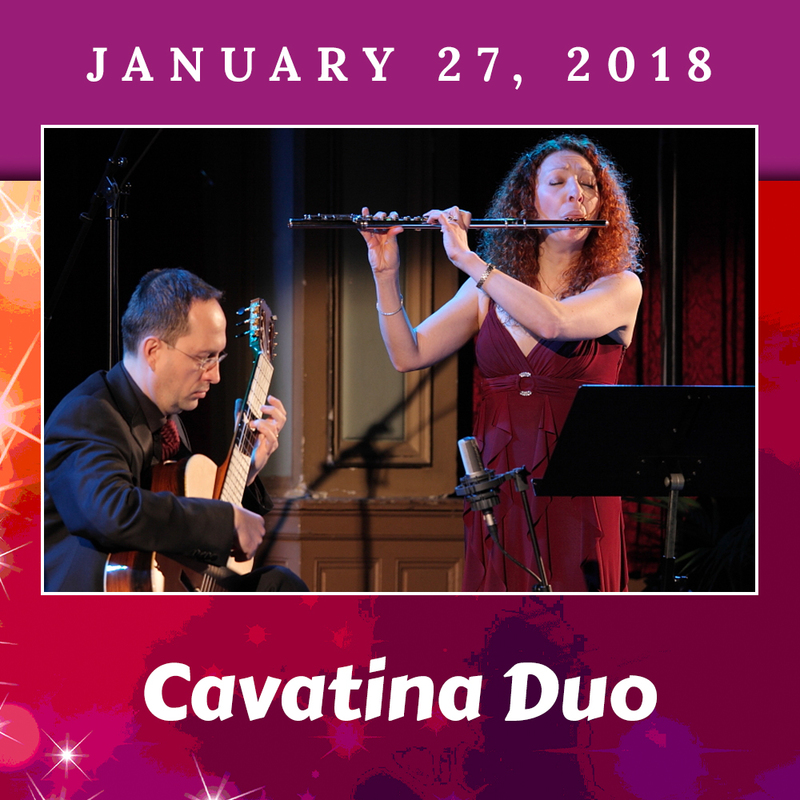 Dedicated soloists and chamber musicians, the Cavatina Duo breaks convention with their combination of instruments. Add to that their daring choices of varied and versatile repertoire, and the result is new sounds, colors and musical phrasings, which in return awakens a high level of emotion and audience response. These consummate artists will give the world premier of a special commission work by San Antonio composer Matthew Dunne in memory of the late San Antonio Symphony Principal Flute Tal Perkes. 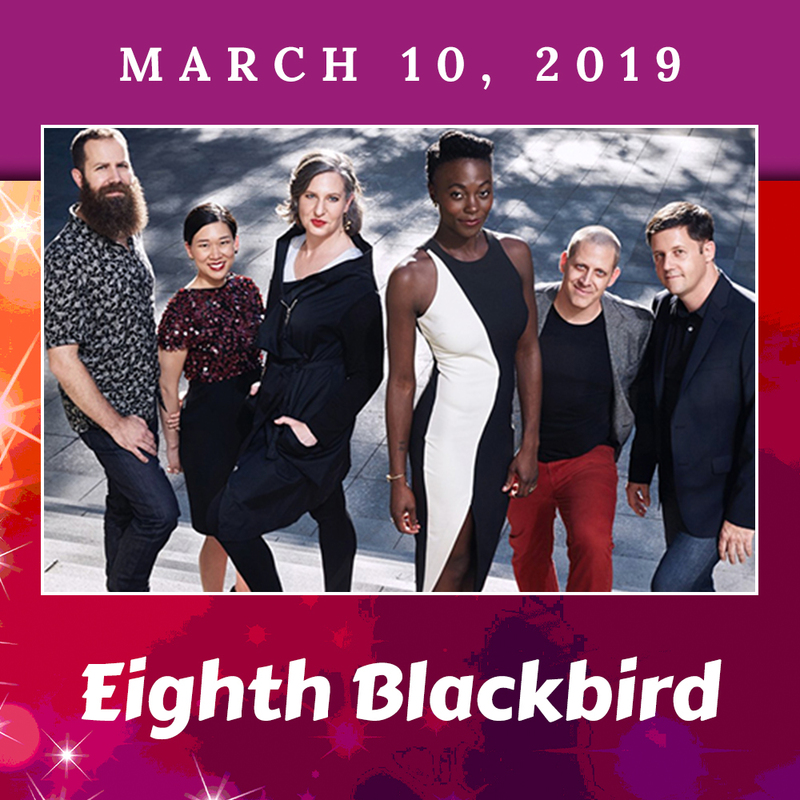 Eighth Blackbird is “one of the smartest, most dynamic contemporary classical ensembles on the planet” (Chicago Tribune). Launched by six entrepreneurial Oberlin Conservatory undergraduates in 1996, this Chicago-based super-group has earned its status as “a brand-name… defined by adventure, vibrancy and quality… known for performing from memory, employing choreography and collaborations with theater artists, lighting designers and even puppetry artists” (Detroit Free Press). 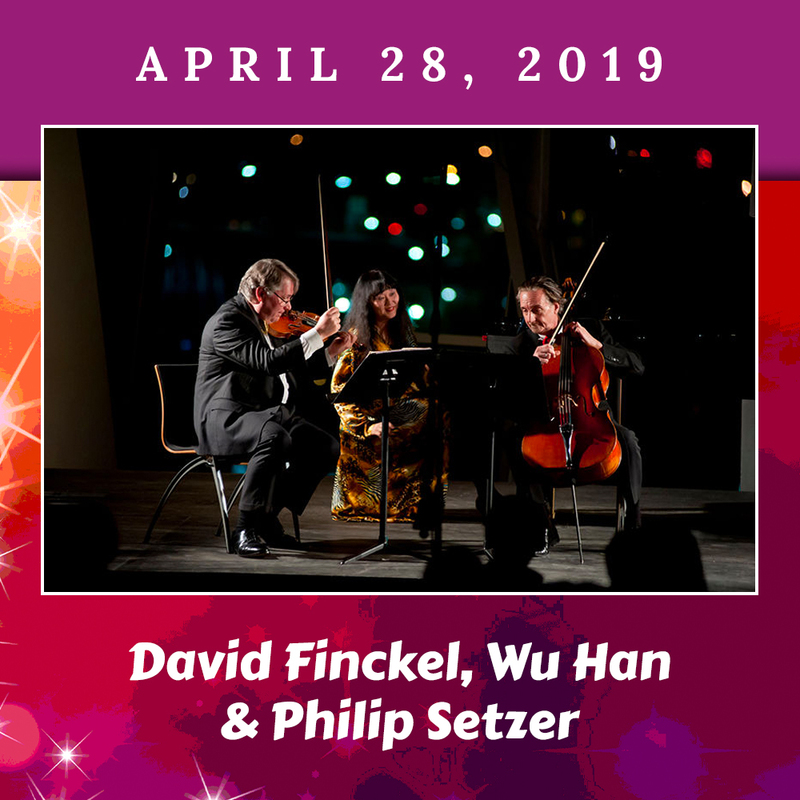 Called the ‘power couple of chamber music’ by the Wall Street Journal, David Finckel and Wu Han rank among the most dynamic of today’s classical artists. They are joined here by Emerson String Quartet founder, Philip Setzer, for an extraordinary collaboration that will both dazzle as well as mesmerize. Come witness chamber music playing at its best. Get Your Season Subscription Today!!! A complete Season is only $100 (Seniors $75) and includes a Bonus Ticket for a friend! Plus: any ticket may be used for any concert of your choice! This is the best deal in town!